Since we have a cockatiel we had hoped to see many cockatiels in the wild. Unfortunately they aren't predominant in the desert (too small to survive prolonged drought) and we didn't see many on the coast. 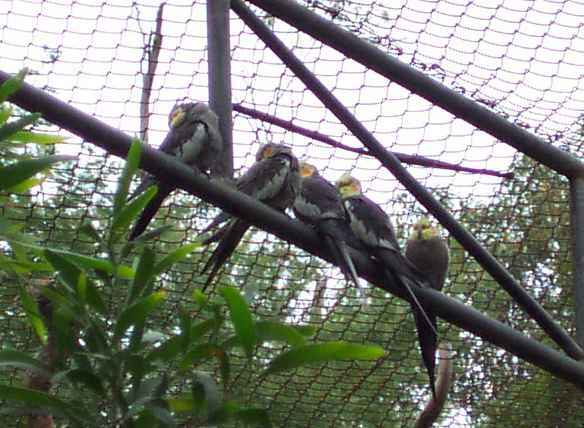 Cockatiels perch in an enclosure at Healesville Sanctuary.